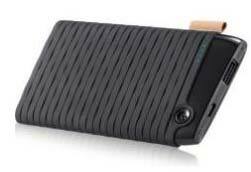 Reckoned to be the best in the industry, we are the leading manufacturers and suppliers of VCARE Power Bank (B089). Our offered range is manufactured by skilled professionals using high-grade components and advanced technology in compliance with the industry quality standards. These Power banks can be used for all personal electronic devices like Mobile, MPS, and IPad etc. Clients can avail this bank from us at market leading rates.